I think it is about time I write about the conference that made my Europe trip came true. My adviser mentioned this conference during one of his classes last year. 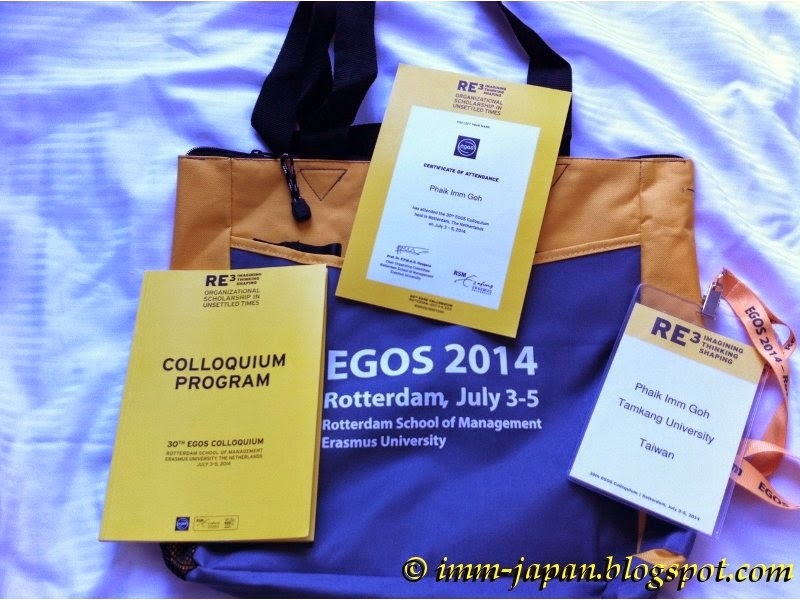 The 30th Colloquium organized by European Group for Organizational Studies (EGOS) was held in Rotterdam, The Netherlands. Since I've yet to visit The Netherlands, I've decided to submit a paper for it and see if I could be accepted. After about 5 months of reading, researching, and writing, I produced, first a short paper of 3,000 words which was accepted and then a full paper of 26 pages for the colloquium. This was my first truly international academic conference. Although I've attended a few while in Japan and Taiwan, they were only 'international' in name as most of the attendees are locals (meaning bad English, both oral and written) and/or 'old boys' club' (where the same few faces turn up every year and sing each other's praises unashamedly). 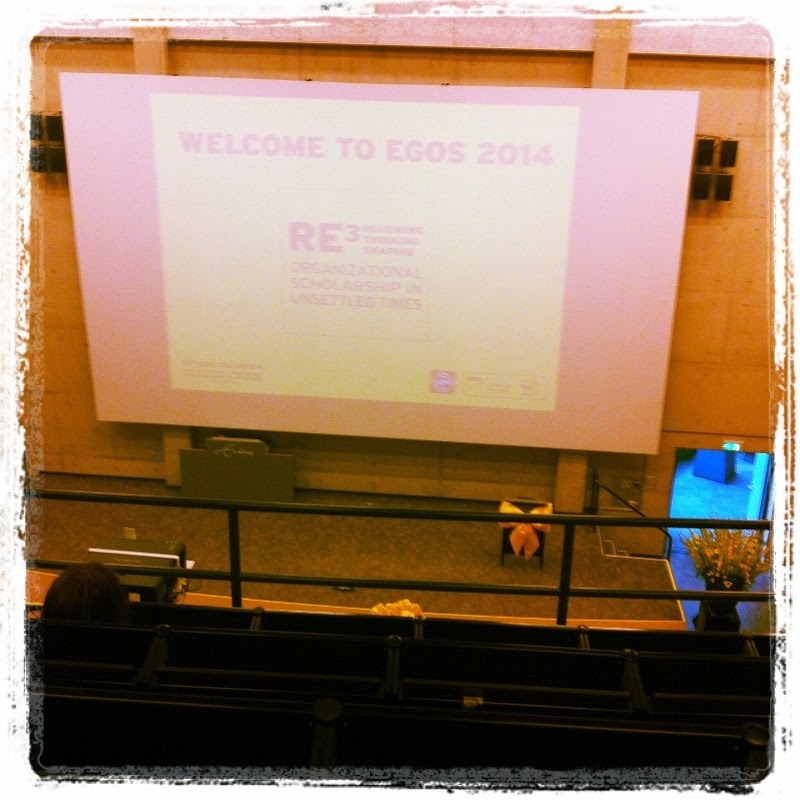 The EGOS Colloquium resembles more of what I thought a truly international academic conference should be. There were more than 1500 attendees from over 100 countries! I went to the venue, Erasmus University, the day before the conference to attend a pre-colloquium workshop. The EGOS Women's Network Meeting was a wonderful opportunity for women academicians to share their experience and knowledge. I joined the round table on publication strategy which I really thought was very useful. Most of them are from European and American universities and seemed to know each other. As someone who is not very apt in socializing in a big group, I just observed and absorbed the entire experience. The opening ceremony was held in a two-level lecture hall which kinda reminded me of Victoria Theatre in Singapore with its steep steps and cramped seats. The ceremony had the usual - a couple of welcome speeches by the organizing committees and one keynote speech. The keynote speech was interesting and not too dry. Also, I really like that they incorporated some jokes about the World Cup in their speeches and kinda ribbed the Americans for their failure to reach the quarterfinals. Another surprise was a modern dance performance by Erasmus students with live music (maybe their symphony band). It was kinda long and repetitive after a while but I gave them full marks for their enthusiasm and passion. There were many diverse themes being discussed in this colloquium. We were grouped according to our sub-themes so that we can benefit from those who are doing similar research. Each sub-theme group was allocated a small conference room for participants to present their papers. 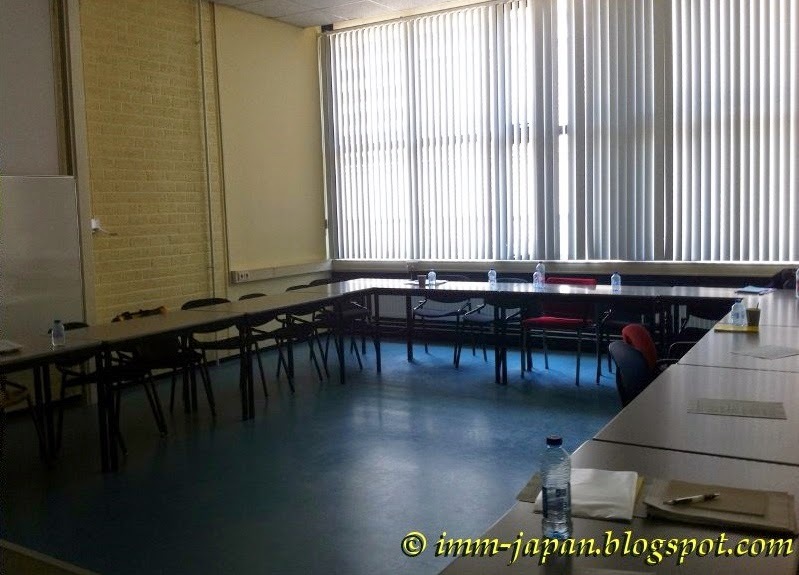 The rooms were scattered all around the Erasmus campus in different buildings. It was a nice way for the participants to get to see the university. Most rooms can accommodate around 20 participants and it was a rather intimate setting. We were all seated around tables arranged in a U shape which I prefer. Unlike in a big lecture hall, this arrangement forces everyone to pay attention to the presenter. Usually, there were 3 papers scheduled in each 90 minute session. This meant that each author will have about 20 minutes to present his/her paper and 10 minutes for Q&A. I was scheduled in the last session on the first day, from 16:00 to 17:30, with another group from China. Unfortunately, they didn't turn up, so I was the only one to present during this time slot. In order to be fair, I was given the same amount of time to present and was not expected to fill that entire 90 minutes. My adviser didn't register for the colloquium but he came with his wife to give me some support. They were travelling around the region so he dropped by to cheer me on. I met with them at the registration booth during the short break before my session. I took them to the conference room where my session was being held. They decided to sit outside and listen to my presentation. He said that he would bail me out if I got stumped during Q&A. Frankly, I managed to calm myself down before I met my adviser. 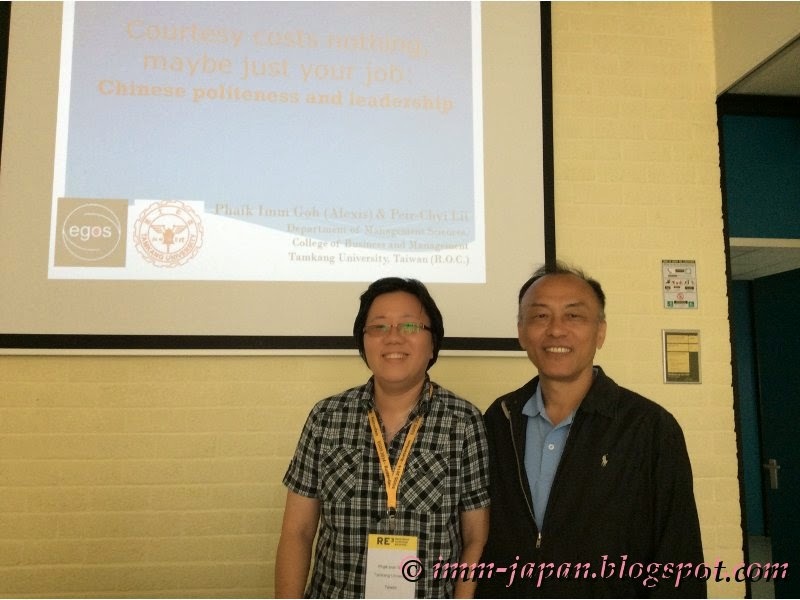 Although I had been practicing my presentation in my head many times, I was quite nervous the night before because this was after all my first international conference. And I was somewhat nervous during earlier sessions too but when it was time for me, I kinda became numb. The nervousness reached its highest when I was introduced to the group and then it was gone once I got into my grove. I told myself to just winged it cos what was the worst that could happen, right? I've handled worst situations and more hard-to-please people than a handful of scholars. Seriously, after attending a REAL international academic conference, I really can't stand going to a 'fake' or 'pseudo' conference that is only international in name only.